We are always hungry for more details about Star Wars Episode VII, but with the movie so far away from release, we can’t really expect a lot. We can thank a flight instructor in the UK for giving us this cool Star Wars image. He was flying over an area called Greenham Common in the UK, where it was rumored that some Episode VII filming was taking place. 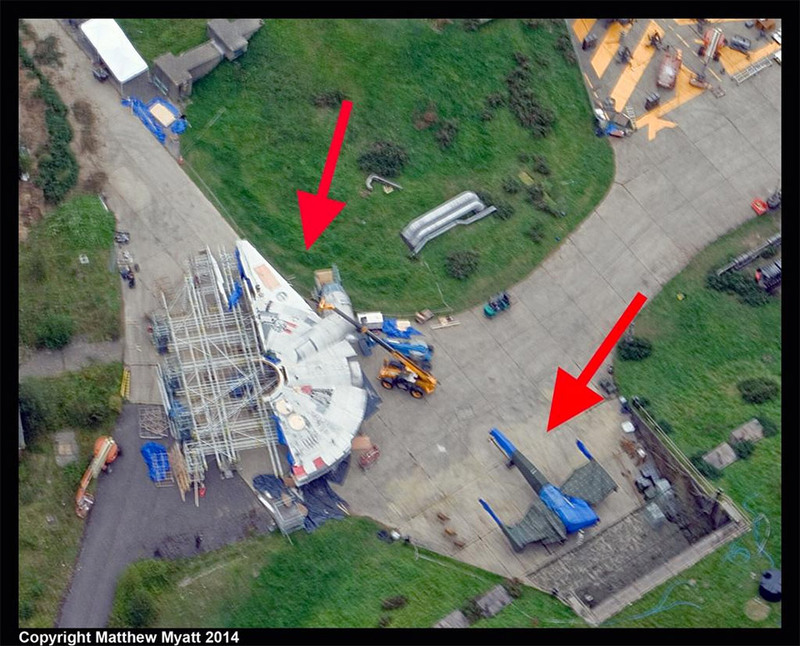 Obviously he couldn’t help but notice that giant half finished Millenium Falcon and X-Wing on the ground below. It’s nice to see the ship coming along nicely. Just knowing that it will be in the new movie gives me all kinds of warm fuzzy feelings.